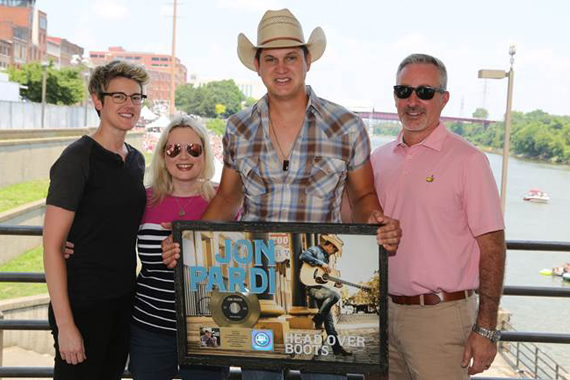 Prior to taking the stage at Sunday’s (June 12) CMA Music Festival’s Chevy Riverfront Stage, Capitol Records Nashville’s Jon Pardi celebrated his new gold single “Head Over Boots.” As the fastest-rising record of his career, “Head Over Boots” is the lead single off Pardi’s sophomore album, California Sunrise, available Friday (June 17). 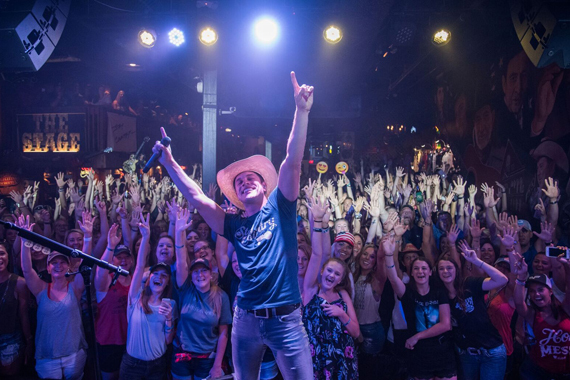 Broken Bow Records’ Dustin Lynch closed out CMA Music Festival with a performance at The Stage in downtown Nashville on Sunday (June 12) to celebrate the launch of his clothing line, Stay Country. 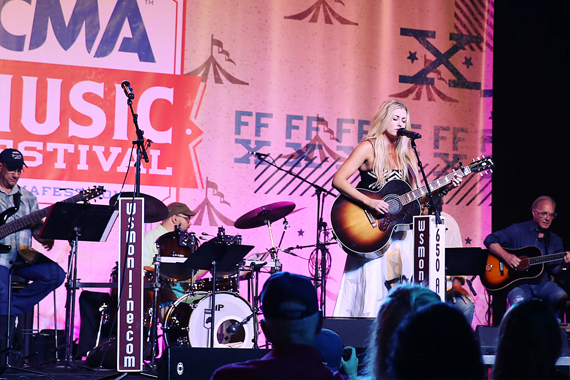 The country star entertained the packed audience with his high-energy set and a round of karaoke roulette with special guests Tyler Rich and Adam Sanders. Before doors opened, fans lined up down the main drive of Broadway to claim their spot for the free show and have the opportunity to purchase items from the Stay Country line. The line of accessibly-priced men’s and women’s shirts, hats, and accessories can be found online. 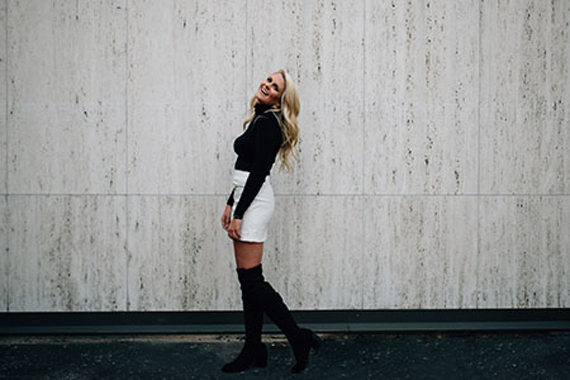 Rebel Engine Entertainment recording artist Stephanie Quayle and country artist Elizabeth Lyons have made the top five of Macy’s iHeartRadio Rising Star Contest. Both artists are based in Nashville. The winner of the contest will open the 2016 iHeartRadio Music Festival. Fans who vote have a chance to win a VIP trip for two to the 2016 iHeartRadio Music Festival for both nights as well as entry to the Festival Village, airfare, accommodations and an exclusive meet-and-greet with the Macy’s iHeartRadio Rising Star winner. To vote for Quayle or Lyons by email or Facebook, visit iHeartRadio.com/RisingStar. To vote on Twitter use hashtag #RisingStar and #StephanieQuayle or #ElizabethLyons. Add #Sweepstakes to your Tweet to enter to win the VIP Trip. Online and Twitter voters can vote up to 50 times per day, retweets will count as votes, for a total of 100 votes per day. Voting for the top five will close July 3 at midnight. The winner of the contest will be announced on July 6.